As the HRC became more embroiled in political and funding battles in the Reagan years of the early 1980s, Jean-Juste and his comrades formally split the legal and political work by spinning off a political action popular organization named, in Kreyòl, «Veye Yo» (Watch Them), which set up its meeting hall across the street from the Center. 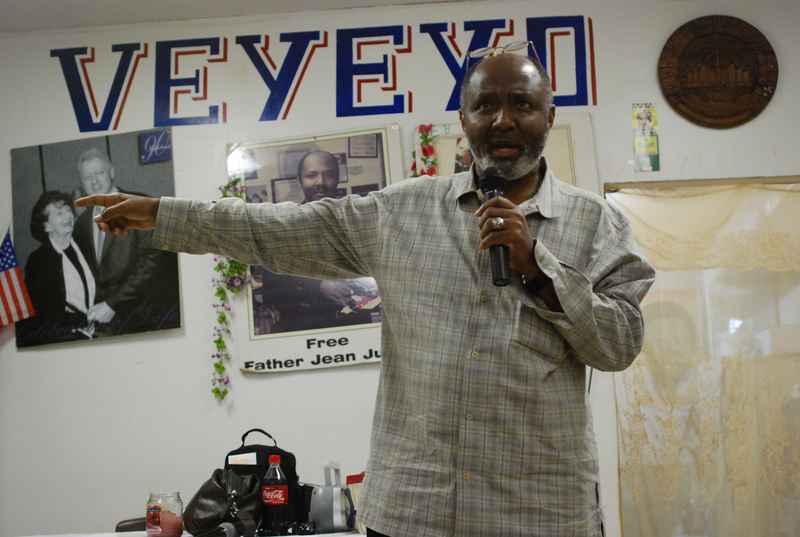 Although the Center has closed, Veye Yo remains to this day the largest and most influential Haitian grassroots group in Miami, and perhaps in all of Haiti’s diaspora. 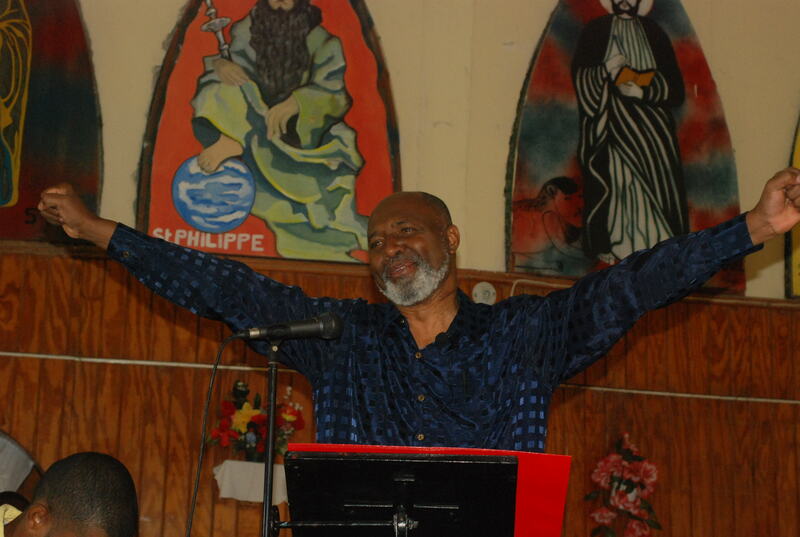 In September 1986, the two priests organized a week-long “Youth Congress” in the southern city of Les Cayes, where some 2,000 young people from all over Haiti gathered to hear speeches by Aristide, Jean-Juste and a host of other liberation theologians and to meet in workshops to hammer out a post-Duvalier agenda. 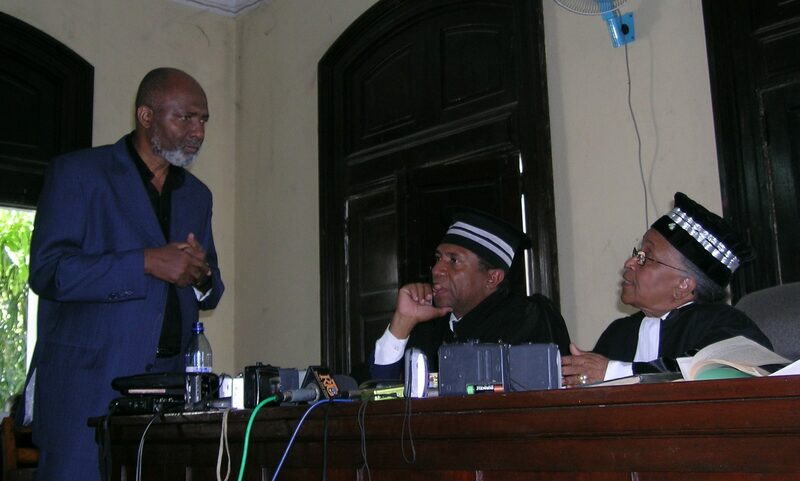 This was the seminal meeting of what would later be called the Lavalas (Flood) movement and produced the watchwords, blueprints, and militants that would catapult Aristide to the Presidency four years later. 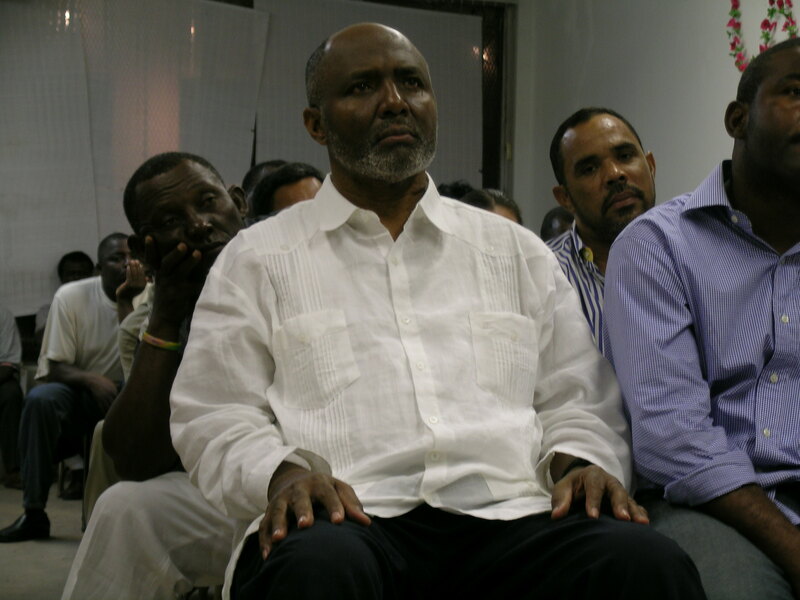 Jean-Juste continued to travel back and forth to Miami, where he led the community in demonstrations against various neo-Duvalierist governments. In one memorable 1989 action, Jean-Juste organized a team of Veye Yo members to ambush, with jeers and signs, the delegation of then President Prosper Avril, a former Duvalierist general, in the Miami International Airport. One of the women demonstrators even yanked Avril’s tie. 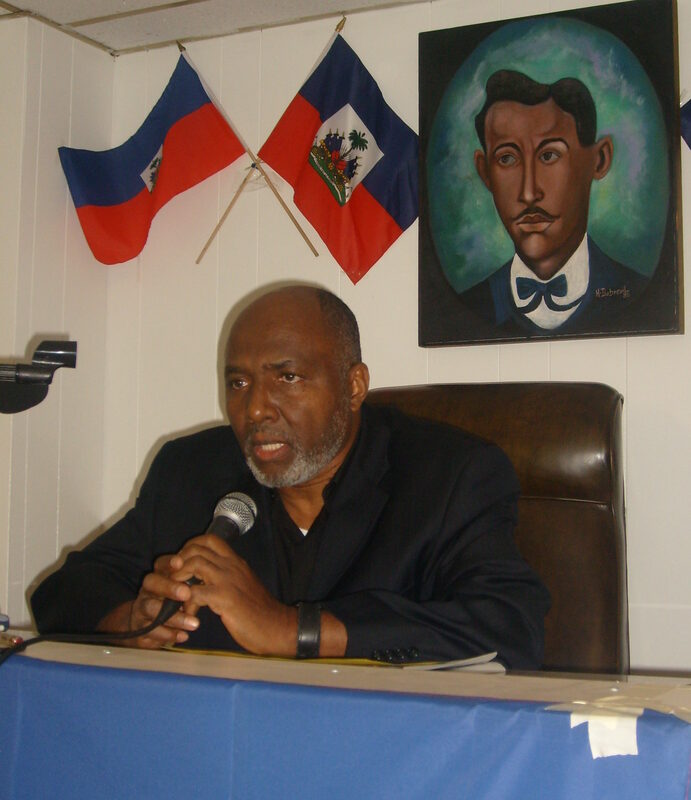 A picture of the startled general-president appeared on the cover of that week’s edition of Haïti Progrès, a weekly newspaper to which Jean-Juste sent weekly pictures and dispatches about Miami events. 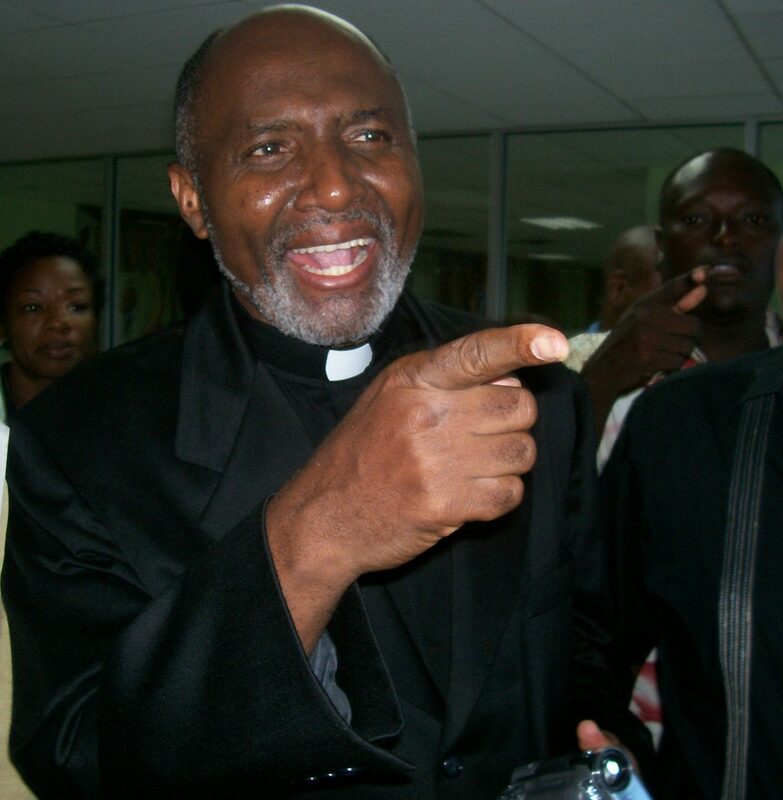 Jean-Juste resigned as HRC’s director in 1991 to work in Haiti under the new Aristide administration but soon found himself in hiding for three years in Carrefour-Feuilles’ St. Gérard Church for most of the 1991–1994 coup d’état against Aristide. A strict pacifist who held up slain Salvadorean Archbishop Oscar Romero as a model, Jean-Juste was a strong proponent of “active non-violence” and applauded actions like the 1992 drop from a small plane of thousands of pro-Aristide flyers over Port-au-Prince and Cap Haitien. After Aristide’s return in 1994, Jean-Juste became the priest at St. Claire’s Church in the shantytown of Ti Plas Kazo, a bleak warren of tin and cinder-block shacks in the capital’s Delmas district. 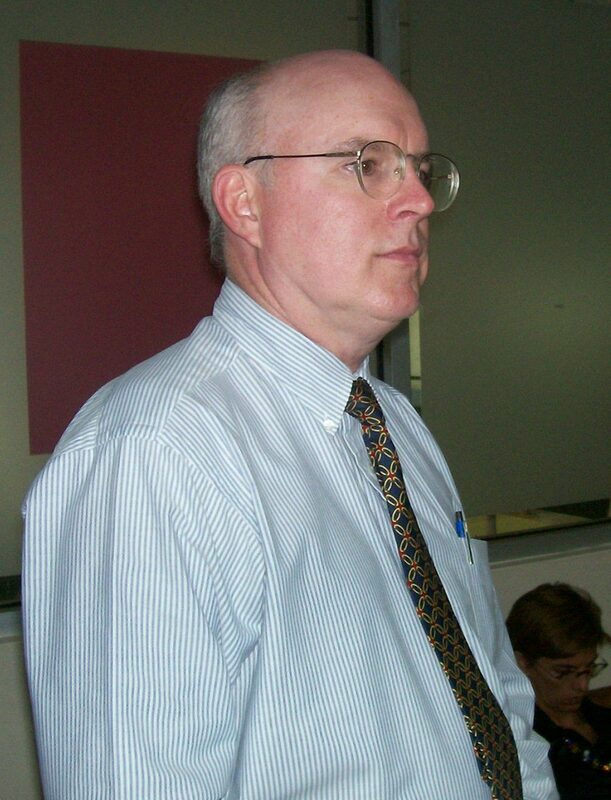 There he preached and in 2000 set up a program to feed some 1,000 local children daily. 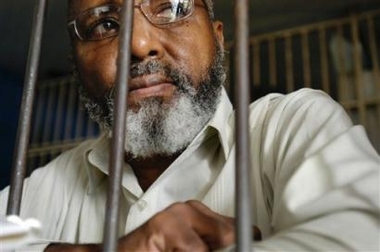 Father Jean-Juste in a Haitian jail in 2005. “The church hierarchy knew that the de facto officials were about to kill me,” Jean-Juste said in a June 2006 interview in Miami with the film collective Crowing Rooster Arts. “The plot came from the de facto government,” but had the cooperation of leaders of the coup’s political front, the Group of 184, and the bourgeoisie’s radio stations, he said.